Holly is currently responsible for overseeing the development and ongoing progress of APR’s AdPro Scorecard®. In her time at APR, Holly managed the launch and implementation of APR’s internal ad production database, the AdPro Scorecard ® Client Portal, APR’s reporting engine, and most recently APR’s benchmarking capabilities and methodology. She has over 10 years of experience coordinating and managing project teams, implementing enterprise-level software, and assisting with the architecture of data analysis tools. A self-avowed data lover, Holly enjoys working with APR users to make their advertising data come to life. Visually and technically minded, she thrives being able to accurately execute a subject-matter-expert's data vision. 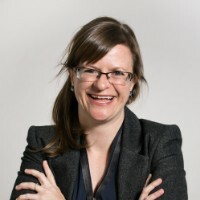 Holly’s education, with a focus on global entrepreneurship, has given her a unique view on international benchmarking as well as strategic, data-driven decision making.